I was so giddy when I received this dress from Shop Kempt. It is called the "Sonia Abstract Dress" and honestly, y'all, it's amazing. It comes with a removable belt, that I've worn with several other dresses. It's burgundy (ahem, maroon) with gold studs on it. Fab. In the first look, I wanted to let the dress do the talking and so I just dressed it up with some gold heels. To make it more casual, all I did was replace the heels with some oxford pumps, replaced the belt with a thicker "bow" belt, and added a scarf (made by my precious Memaw). For the next two looks, I wanted to show off the dress' versatility. I layered it up with tights, a long sleeved tee, and a long vest. I topped it off with a belt, boots, and a necklace (funky vintage lovely) for a casual and comfortable look. I used Lindsay's trick for turning a dress into a skirt by folding the top inside itself, turning it around to the long side, and pairing it with a lace tunic. I covered the "bulk" with a belt and voila! This, of course, is my favorite look. Cozy it up with a long jacket, boots, and a scarf. Perfecto! 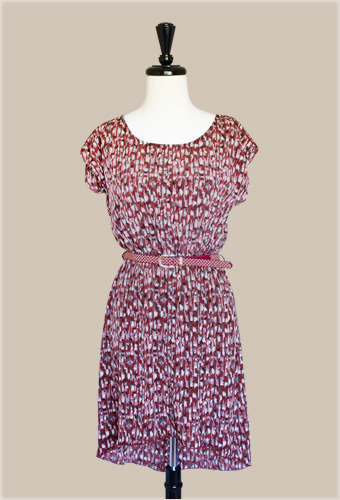 Check out Shop Kempt and spruce up your fall & winter wardrobe with a fun dress or skirt/top combo! Today, I'm linking up with Lindsey for What I Wore Wednesday! So versatile! And I agree, the last looks is my favorite (it's the boots). That dress is definitely a keeper! Oh my goodness! So, so incredibly darling - every single look. I'm so inspired! oh my goodness Kim!! I love each and every way you styled this dress!!! So beautiful!! the dress turned into skirt looks fantastic (gooooo, linds!) and i love the cozy look too! shopkempt seriously rocks - and you just look super hot. that's all. <3 you. 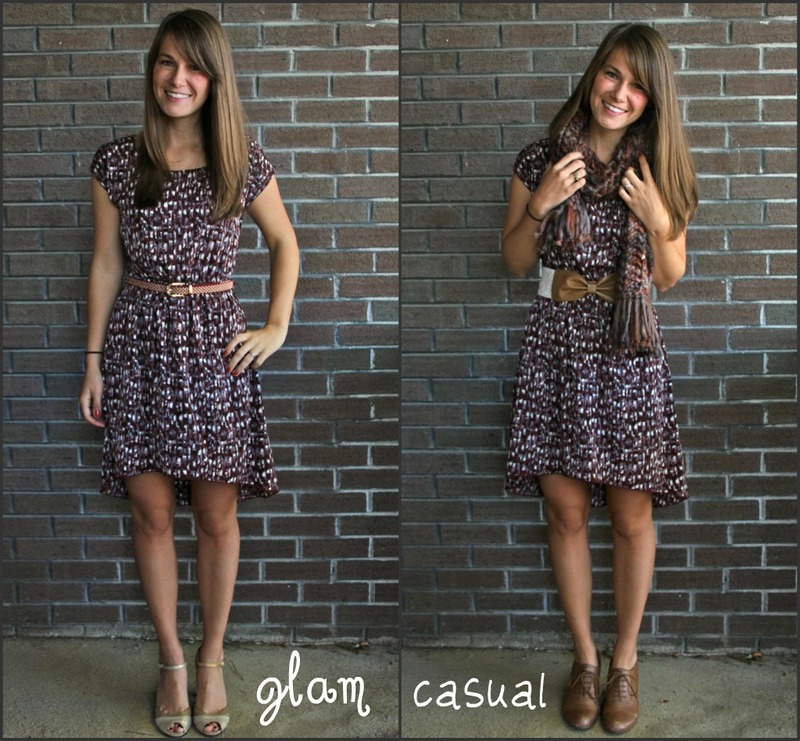 So cute to show 1 dress so many different ways! Great ideas! Very cute dress but the way you change it around is even more fun. i love the last look the best too! i love me some boots with a dress. over jeans would be sweet too. I love your Cozy look! 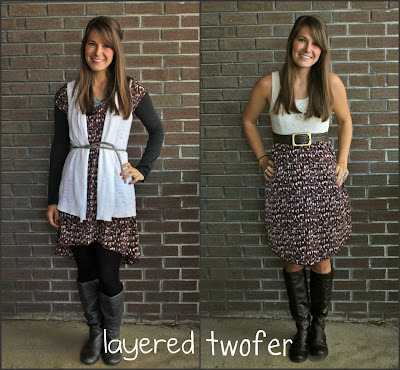 All your layering really makes each look different even though you are working with some of the same clothes, super cute! love love love your style!!! the layered looks and ones w/ boots are my fave!! Lindsay inspired me last week to do this to a dress of mine as well! I made mine into a skirt with a belt like in one of your outfits. I love love LOVE your coat though in the last one! Where'd ya get it?! Yep, that last look is my fave. You're a doll! I've been reading your blog for awhile and was so bummed when I learned that you spoke at my MOPS group last week and I missed it because I was out of town! It would've been such a treat to meet you face to face! Love this! Totally pinning the dress as a skirt idea! that dress is SO cute and i love all the different looks. especially the twofer -- had not thought of that! i need to invest in more belts. and also a pair of oxford pumps... any recommendations on where to get a cute (and inexpensive) pair? cute! love the last picture.